First of all, let me touch on the Northern Provincial Council. Elected on the TNA ticket by an overwhelming majority in 2013 and, having assumed office as Chief Minister, C.V. Wigneswaran had occasion to remark sometime that he would concentrate on running the Provincial Administration, leaving political issues to be tackled by the Parliamentarians. 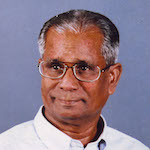 However, with the passage of time, he stepped into the political arena as well, slowly but surely distancing himself from the TNA, while joining hands with forces opposed to the TNA, viz., the Tamil People’s National Front (TPNF), led by Gajendrakumar Ponnambalam, as well as the EPRLF led by Suresh Premachandran, both former TNA Parliamentarians. Then, a forum called the Tamil People’s Council (TPC) was also formed, comprising some political groups and some intellectuals with Wigneswaran playing a conspicuously leading role, formally as a Vice-President. It is still not clear as to whether Wigneswaran wants to form a new political party, or to build up the TPC as a strong mass movement so as to reach whatever the goal he aspires to reach. Of course, people will judge him by the achievements he has made, or failed to make, thus far as the Chief Minister. Wigneswaran’s quest has been for a political solution to the Tamil National Question via a Federal arrangement in keeping with the goal of the founder of the Federal Party, S.J.V . Chelvanayakam. But, as is well known, Federalism has invariably been anathema to the southern Sinhala constituency, since it used to be relentlessly misrepresented by Sinhala leaders as a demand for a separate State. It was only recently that the Supreme Court gave ruling to say that the concept of Federalism does not connote establishment of a separate State. Well, the fundamental question involved is one of legitimate, substantive power-sharing, based on shared sovereignty, repeatedly stressed by the TNA hierarchy as an arrangement to be in place within an “undivided, indivisible and united Sri Lanka.” Even so, the Sri Lanka Podujana Peramuna/Joint Opposition would unabashedly campaign in the South that Eelam will be conceded through the new Constitution, as was seen also during the recent “Janabalaya Kolombata” campaign conducted by the SLPP/JO, also taking umbrage that the post of Leader of the Opposition was not given to them, violating Constitutional provisions. In the 1920s, the Jaffna Youth Congress (JYC), a progressive organization, came into existence, pioneered by the redoubtable educationist, Handy Perinpanayagam, supported by distinguished educationists, C. Subramaniam (Orator), Swami Vipulanandnda, K. Nesiah et al, and Left-oriented leaders, P. Nagalingam, (a former Senator) and Jeyam Tharmakulasingham et al. The JYC stood for full Independence from British rule, for complete National Unity, for bi-lingualism in schools, and for the eradication of caste barriers. As Independence dawned in 1948, as is well-known, one of the first acts of the D.S Senanayake Government, was the stripping of the citizenship rights of the Tamil workers in the Plantation sector. This was followed, on the eve of the 1956 General Elections, by the Kotelawela Government unveiling its intent to make Sinhala the sole official language. And then, S.W.R.D . Bandaranaike instantly reneged on his solemn pledge made in 1951 to make both Sinhala and Tamil Official Languages when he founded the SLFP. As is well-known,he outdid the UNP, pledging “to make Sinhala the one Official language within 24 hours.” Having won the elections held in April 1956, he had the Sinhala Only Act enacted in June, 1956 brushing aside all grim warnings from the Opposition benches as to the horrendous consequences that were inherently in store for the country. Nevertheless, in order to make amends, Bandaranaike, moving to obviate the Civil Disobedience announced by the Federal Party, soon conducted discussions with FP leader , S.J.V. Chelvanayakam, and thus ironed out the Bandaranaike – Chelvanayakam Pact, in 1958, providing for some measure of power-sharing. However, apart from J.R. Jayewardene’s Kandy March against the B-C Pact, about 400 Buddhist Monks laid siege on Bandaranaike’s Colombo residence, virtually intimidated Bandaranaike, face to face, and Bandaranaike caved in, instantly abrogating the Pact. (The same fate overtook the Dudley Senanayake-Chelvanayakam pact entered into in 1965). It used to be widely and credibly believed that had the Bandaranaike-Chelvanayakam Pact been really implemented, there would have been no Tamil armed struggle, nor the immensely destructive 26-year -long war. Thus, historically speaking, both the UNP and the SLFP are equally responsible for the huge calamity that eventually overtook the country. .
And, in the case of Bandaranaike-Chelvanayakam Pact, not only did Bandaranaike unilaterally abrogate the Pact, but also paved the way for the first major anti-Tamil riots to break out in Colombo ad certain other Districts. Tamils in such areas ran for their lives, into makeshift refugee camps, and were then shipped off to the North and East for a period for their safety. And, whereas the riots broke out on 22nd May, 1958, Bandaranaike, in his belated address to the Nation, on 26th May, made a grievously erroneous statement to say that the murder in Batticaloa, of a former Mayor of Nuwara Eliya, D.A. Seneviratne on the 25th of May, was the the cause for the riots to break out. J .R Jayewardene, elected Prime Minister in 1977, converted himself as the first Executive President through Constitutional manipulation, trumpeting that he had all the powers under the sun “except to make a man a woman, or a woman a man”. The second major ant-Tamil riots were unleashed in just about 2 months after he came into power, declaring, “if you wat peace, it will be peace, if you want war, it will be war”, infuriated by some sppeches critical of Jayewardene’s track record emanating from the Tamil constituency. And, he rosy promises made to the Tamils in the 1977 election manifesto then vanished into thin air, and the May 1977 riots engineered And then followed the “Black July” pogroms, 1983, tens of thousands of Tamils getting massacred (as happened during the 2 JVP insurgencies in 1971 and 1988) and many more of them fleeing to India, Canada and some European countries. After President Premadasa’s induction in 1988, he opened negotiations with the LTTE, which was getting prolonged, and Premadasa had reportedly sought LTTE helping hand to pack off the Indian Peace Keeping Force (IPKF). The Premadasa-LTTE negotiations dragged on, fsast becoming a talking shop, and the tragic outcome was the assassination of Premadasa in 1994. Thereafter, Chandrika Bandanaike Kumaratunga’s election to the Presidency in 1994 generated much hope, especially among the Tamils, and the women sporting “Chandrika Bangles”. Negotiations soon opened in Jaffna, but with neither a Ministerial level delegation, nor any serious proposals on the table. So, the LTTE perceived CBK’s moves as a mere propaganda exercise, and pulled out of the talks before long. The war re- commenced, with “Operation Leapforward’ taking off, and running into a number of such code-named Operations, and CBK stepped down from the Presidency in 2004. When Mahinda Rajapaksa became President in 2004, he too conducted some negotiation with the LTTE, ably assisted by a highly eminent lawyer, H.L. de Silva. Meanwhile, the President got down his ex-Military officer brother, Gotabaya Rajapaksa who had l migrated to the US long before and become a citizen, to function as the Defence Secretary, while at the same time stopping the impending retirement of the then Jaffna Commanding Officer, Major General Sarath Fonseka, who was immediately appointed as the Army Commander, as reportedly wished by the new Defence Secretary, an arrangement apparently to be in readiness to take on the LTTE, if or when the need arose, and fight it to a finish, and that is precisely what eventually happened. Of course President Rajapaksa publicly declared the he had the support of 12 countries including India, Pakistan and China. Meantime, President Rajapaksa had gone on and on assuring, say, former Indian Premier, Manmohan Singh, that he would go beyond the 13th Amendment introduced previously with India’s intervention, but that was merely for the consumption of the International Community. The present Good Governance National Unity Government, supported overwhelmingly by the Tamils as well in January 2015, is still not meaningfully moving toward a lasting solution to the chequered Tamil National question, and the new Constitution making process keeps dragging on with no end In sight , while the tenure of the Government ends late next year. Nor has the Government made any headway in the area of economic development, but the redeeming feature being the absence of fear and tyranny. “There is tyranny when the people fear a Government, and there is democracy when a Government fears the people”, said Thomas Jefferson, third President of the US. To conclude, this writer’s candid view is that here in Sri Lanka, Sinhala nationalism has to be devoid of Sinhala-Buddhist chauvinism, and Tamil nationalism should cease to be insular, for durable unity, amity, peace and prosperity to emerge. That is the only way, the paradigm shift indispensable to catch up with, say, Singapore, whereas ,the late Singporean leader, Lee Kuwan Yew wanted to “catch up with Ceylon” in 1952, and later ridiculed Sri Lanka, in his Memoirs “for getting into turbulent waters”, having made Sinhala the sole official language. agree with you.Good article.One thing i could not understand is what he meant when finishing the article,that tamil nationalism should not be insular.If you don’t want tamil or sinhala nationalism to be insular then you can’t have it at all.You can have only nationalism.The moment to break it up into ethnic nationalism it becomes insular. By calling for independence and implementing swabasha , Jaffna youth congress was the main culprit of the present pathetic condition of Tamils and the country. Between 1920s and 1940s educated Sinhalese did not bother much about their language and religion. History shows that they were satisfied to remain as brown sahibs. Apart from youth congress, Ponnampalam brothers too helped / advised / activated the Sinhalese to have acute interest in their language and religion. They were the main one called the Sinhalese to be nationalists. They were helping Anakarika and others to propagate Buddhism. Sleeping lions were thus woken up by these so called “progressive minded” educated Tamils and its vicious consequences are now faced by Tamils and the country. Had they allowed English language to continue, there would not have been riots / pogroms over language, no standardisation, no abolition of section 29, no satyagraha, no LTTE , no monks in parliament, no Bodhu Bala sena, no jihadis, no representation by O/L MPs, and no racial religious differences. It would have been a different peaceful country and people. Don’t you think so sir. One also has to refer to the consistently reactionary nature of the Tamil nationalist leadership, its lack of vision and not being alert to ground reality. Thanks for yet another sound article. What you write may not be ground breaking, but I’m sure it does slightly younger readers good to be able to read such sane writing – ans so well written that it is easy reading. Sadhu, unfortunately, doesn’t seem to appreciate any of this. I don’t at all agree with what you say, Sadhu, and there are internal contradictions in what you say. The Swabasha languages had to be given a place, but not the way it got done. Yes, it was a mistake to disparage English, the way it was when we were kids. But how did the growth of Swabhasha Education lead to M.Ps with only O.Levels? Presumably there would have been even less education had we confined the majority of the populace to a few years of “vernacular education” in the farcical way it was dispensed. This, Sadhu is the problem; we see far too much of the post-independence history of our country from the point of view of our families which were privileged. Trump is the proof that we couldn’t have continued the way you wanted it. We had to assert the value of our own culture. I say this although I am probably much more at home in the alien culture. What is the way forward? I don’t know myself, but I think that you should try to get out of the box that you are in. This is just an observation – let’s not turn it in to an argument. Your observation is correct in a way but when we look at the whole picture since1920s, don’t you think that we are in a utter mess by the actions of our politicians educationists and administrators, past and present. What is the way forward? Correctly asked. Is there an answer? NO. A definite NO. We all are stuck in a deep muddy pond and China is pouring more and more mud. Other powers are waiting in the queue. No one is bothered about our future . Big shots are happy with their commissions and luxury life and People still follow them without a word of protest. You may think that I am a pessimistic but this is the reality and we cannot escape from it. Your pessimism is justified. However, I repeat that we couldn’t have gone on forever with 5% of the “so called elite” dominating the rest. As I’ve said already, I find it difficult to analyse beyond that, and I have no solution. Please don’t imagine that all the English-speaking people of the twentieth century were wonderful people. Dudley Senanayake was a really good man. I know that I’m going against popular perceptions when I say that there was much evil in his father, D.S.S, and in Junius Richard Jayawardena. We tend to blame S.W.R.D. Banda to much. Of course he was an intellectual-opportunist who used nationalism to win power. But we must remember that this was when Nasser, Sukarno of Indonesia, and Nehru were asserting local dignity and identity. Had the shrewd J.R. not undertaken his racist March to Kandy, our recent history may have been different. The changes of 1956 had to come, but they needn’t have been so harmful had that fluent speaker of English, Junius Rex, not intervened. I’ve not really studied Anagarka Dharmapala, but wasn’t he also an English educated moderniser, who wanted us to learn how to use cutlery? And he it was who started all this rot about our being Aryans – he died just before Hitler’s evil became all too clear. Well, that’s how I view the 20th Century. Let’s make this a better century. Mr. Thirunavukkarasu gives an excellent summary of the past. But my wish is that Tamil people and their leadership should take a realistic look at their current condition and derive some principles for moving forward. When people are confronted with an immovable roadblock/obstacle, they should look for a detour/ work around. The LTTE was trying to ram through such obstacles, resulting in destruction, rather than finding workarounds. With that in mind let me outline some principles. 1. Tamils in SL need to preserve their identity as SL Tamils and be assertive about their historical and language rights, but a sufficient number of Tamils also need to make efforts to learn the Sinhala language so that they can function well enough in a country where 75% of the population speaks that language. 2. SL Tamils cannot assume that they can rely on India to solve their problems but will need to manage their relationship with India carefully in keeping their own interests. 3. While SL Tamils will continue to have cultural connections to Tamil Nadu, people of Tamil Nadu have their own issues and are not in a position to help the SL Tamils when the latter face violence from their State. Look at the current differences between the TN and the Center on the matter of releasing the convicts of the Rajiv Gandhi assassination to understand the limitations of TN. We also need to understand that some of the TN politicians make emotional speeches in support of SL Tamils in order to energize their support base in TN, but can’t do anything tangible to help in times of crisis. The recent past, including the destructive war in the Wanni, has shown this. Part 2 continued in the next post. 4. It is true that Federalism is a very reasonable demand but the Sinhala south unjustly conflates Federalism with separation and strenuously tries to prevent any workable solution. But the way to show the Southern masses that federalism is not separatism, is for the NPC to focus on improving the quality of life of the people it serves and avoiding incendiary political speeches even in the face of many constraints. The NPC can show that it is an efficient and focused Council that focuses on real-life issues of the people and deserves more powers. 5. Everyone should continue to insist on finding justice for war crimes and atrocities, starting with Mullivaikal in 2009 and going backwards to address earlier atrocities and crimes during JVP insurrections. are you a Tamil patriot or a traitor? Tamils should follow the path set by their sole leader Thalaivar. as thalaivar made it clear quest of all the tamils is tamil Eelam. have you forgotten that? dont be a traitor. long live Tamil Elam. Thalaivar is our one and only leader. The same chant of the brain dead repeated for decades. Those who are not with us are traitors. Now none with us. Where do we stand today? In a hapless position. The incoming floodwater took away even what existed. I know you are not a Tamil, but someone from the South out to fish in troubled Northern waters. Probably David Blacker, the ex-SLA corporal. Your Thalaivar betrayed your cause by (1) getting arms from Premadasa and killing fellow Tamil militant leaders, (2) willing to settle for regional autonomy in return for absolute power over Tamils in the north during negotiations with Chandrika government, (3) accepting a huge bribe from Mahinda in 2005 and enabling his victory paving the way for Mullivaikkal, (4) not taking his cyanide pill and surrendering to the military pleading for his life. I have seen this Eelam Manifesto poster for a long time on CT. He has been a troll, making fun of Tamil hardliners with sarcastic comments. After what happened in Mullivaikal, I haven’t seen even Tamil hardliners extolling the LTTE leadership the way this guy does. Where did you get that one from.Fonseka said that he died of a gunshot wound to the head when a firefight broke out between his bodyguards and the army. You are a US resident and probably a citizen. Stay there in Trumpistan and let us handle our affairs, ok? Those of us who chose to remain in our land or those who returned should decide our destiny without your pompous and gratuitous advice! When are you leaving my ancestral land and going back to yours in South India? What is your ‘destiny’ ? And how exactly do you plan to reach it other than by natural death? Make a point-by-point rebuttal to provide an alternative path that can work. Otherwise it is just empty chest-thumping. That is the crux of the issue. People who have remained in Jaffna through the horrific war are keen for a reasonable and realistic solution along the lines suggested by Agnos. They have had enough of false saviours taking them down the path of self-destructive fascism in the name of a mythical Eelam. It is the varied foreign elements like the diasporic Tiger Rump (working through their local agents like Gajendrakumar and his TNPF, Wigneswaran, and those who claim to have returned) and the RAW, who are trying to use the Tamils of North to further their sinister agendas. These unconscionable elements have no qualms about victimizing the Tamils all over again. But the cat that got burnt once is not likely to return to the hearth. A very realistic outline of practical measures to be undertaken. Added to these is the most important programme of REPARATIONS under the aegis of the UN. Thanks Barathan. Agreed. We should include ‘Reparations. under the aegis of the UN’ to the list. good advice,but sri lankan tamils will not take your advice.Their ego is so big that they may even call you a tamil traitor.One by one they will die off without achieving anything for the tamils in the north and east,but there will be a lot of talk,talk and talk. In case you are wondering what i mean by ego,remember when you commented by perfectly analysing the past i told you our fellow brethren ill not learn from past mistakes and will make the same ones over and over again because of their ego. This three letter word is the biggest problem of sri lankan tamils,especially the jaffna tamils.Their self esteem and self importance is always at stake when they are found to be wrong and they will never accept their mistakes and failures.Even prabha from nanthikadal,if his spirit is hovering around there will be saying i did the right thing by my people.his ego will not allow him to accept his mistakes. The word “Federalism” in English is a harmless word. However, Tamils must learn never to use it! It is now a Sinhalese word; response is bound to be as bad as a red cloth shown by a matador to an enraged bull. (Even that’s not scientific, of course: bulls being colour blind). Whoever said that human beings could think straight! JYC asked for implement learning and working in vernacular languages. Ceylon was ruled by Portuguese, Dutch and English. All three races were well ahead in Science and Trade than that time Ceylonese. All three races used their own languages. That should inspire Ceylonese to bring their languages too to that level. But Tamil did not inspire Sinhala Leaders by any mistake to deport the Tamils to India or Colonize Tamils’ land with Galoya Scheme of Mahaweli development Projects. Those are from their laziness, jealous and racism. Why JYC is responsible for that? There is no point in talking about M.N or Colvin. They were even lower than Vasu, Dew, Wimal, Denish. There was nothing wrong on the part of Tamils, that time, Innocent enough to believe cunning rascals like Don Stephen and Solomon West Ridgway Dias, for thinking of national unity. Now we have learned. Last 70 years, not one Sinhalese leader took to power was a man or woman. They were pure crooks. Sinhalese who once pulled Ramanathan’s cart has been trained to vote only to the extremists who promise maximum damage to Tamils. Junius Richard, though Thirunavukkarasu has avoided telling, without any hanky panky, had said that Sinhalese will be happy only if he starve Tamils. Now what kind of hanky panky Thirunavukkarasu is talking about Tamil giving up nationalism and going for national unity. Is there one new hope Thirunavukkarasu has cited that why Tamils have to change on their position? CV, before agree to CM seat, had insisted all five parties must accept him. They all accepted him. Why Sivagnanam and Sumanthiran have been working from the beginning to oust him out? Do you ever use a mirror? Thirunavukkarasu saying CV came out with the Idea of federal solution, but because Old Royal are opposing that in South, that should be given up. Is that because Sumanthiran said in South that there is no need for Federalism, but when he went North, he swore that he never said that? SJV started with Federalism, but ended with Separation. Why Thirunavukkarasu is comparing CV with SJV’s earlier stands? Why not mentioning of Vaddukoddai Convention? CV stood on the NPC election on the election manifesto written by Sumanthiran. What that election manifesto said? “Internal Self Determination”. Sampanthar explained it as Federalism. We don’t have to struggle hard to terminology abridging. If Thirunavukkarasu doesn’t like CV’s Federalism, is he ready for Sumanthiran’s “Internal Self Determination”? “ It was only recently that the Supreme Court gave ruling to say that the concept of Federalism does not connote establishment of a separate State. “ What is the point here , exactly, Thirunavukkarasu making, other than trumpeting that he has found a point CV for bashing? Is he saying the Supreme Court has told Sinhalese what the Federalism is only after Sinhalese has rejected SJV’s Federalism so they don’t have o readjust anymore or is he putting new hope that as just now Supreme Court came forward to tell them what Federalism is, so soon, Sinhalese are going to accept the Supreme Court position? Can Thirunavukkarasu explain what lesson CV should take from this? Can Thirunavukkarasu explain what effect this verdict is going to have in South and their racism? He is just a fraud, trying to argue without any points! Probably Sumanthiran is promising when he get his Paperboy Ministry, he would make Thirunavukkarasu the state minister for it. Why, when there so many lawyers in TNA, they did not file a case and had this confirmed by Supreme Court instead of Some Comedy Sinhala Lawyers, who could not afford for dictionary, go to supreme court to find the meaning of Federalism? A century of recent history on the Tamil – Sinhala struggle is excellently presented by Mr. Thirunavukkarasu, in fine flawless English. The contributions of all participants from Jaffna Youth Congress in 1920 to the CM of Northern Provincial Council till 2018 are accurately recounted. Bypassing any would have been a grave omission. Endless dialogue at all times consistently insincere couldn’t have provided any worthwhile result. The author has driven home this unassailable truth. He could have avoided three errors. 1. May ’77 riots – really August 77. 2. Mahinda Rajapakse became President in 2005 and 3. Assasination of Premadasa was in 1993 are only correct. Karl Marx ridiculed the attempt and failure of the Liberals in 1948 to unify Germany thus. They were like a set of old women who talked interminably and achieved nothing. History tells us of Bismarck’s vigorous stance. “The major questions of the day will not be decided by speeches and parliamentary majorities but by blood and iron”. Ceylon and now Sri Lanka have tried both strategies continuously, but only failure has been consistent. Sine – cere; without – wax, implying GENUINE is the origin of SINCERITY. Did the ruling classes ever have it in Sinhala – Tamil relations? 1948 should be corrected to 1848 pl. – SS. ” He could have avoided three errors. 1. May ’77 riots – really August 77. 2. Mahinda Rajapakse became President in 2005 and 3. Assasination of Premadasa was in 1993 are only correct. Karl Marx ridiculed the attempt and failure of the Liberals in 1948 to unify Germany thus. “, What is the point here? Anyway what is that for us if Karl Marx Ridiculed? What came out of Banda-Chelva fact if not just talk of Solomon West Ridgway Dias? Was that a Bloodless revolution or bloodless coup? Who was the leader of the Jaffna Youth Congress in 1920 ??? Jaffna Political History never ceases to amaze me. Take a look at the then Apartheid scene in South Africa. The minority held the majority in servitude. The divide line was race based. Liberation movements spouted and the rest is history. When Ceylon gained independence, politicians drew a divide line based on language. The Sinhala majority got the reins, were sure the reins are secure. Yet a picture of Apartheid-type oppression was created. The cry then was, “Tamils are traitors and will help India to invade”. This was used to create the infamous ‘second class’ citizens. A language based ethnic classification came into being. Then the cry changed to “Tamils are the cause of all our ills” and has been the theme at hustings ever since. Last week’s ‘Jana Balaya Colombata protest’ was basically a repeat of the theme wrapped differently. Today the Armed Services is mono-ethnic, Police nearly so. Public service, SOE’s?……you guess! In the mean time the culture of corruption/nepotism/impunity grew unchecked. Allegations of scams are levelled at individuals from one ethnic group. Which one? _…..guess. Vallipuram Thirunavukkarasu is one of the few optimists. Private pessimists outnumber public pessimists. The tragedy is the dominance of “Don’t know”. 1. D.S did not strip the citizenship of Tamil workers in the plantation sector. He stripped the citizenship of the Indian origin people who HAD NOT STAYED IN SRI LANKA FOR MORE THAN 5 years. Even in todays world, you cannot get citizenship in a western country by simply staying there for 5 years. Also the estate sector joined GG.Ponnambalam’s demands for 50-50. 2. While it was wrong to make Sinhala the ONLY official language igonoring Tamil, SWRD corrected it in 1958 by bringing an amendment. 4. Where is about hate mongering against the Sinhalese by the Tamil politicians? About skinning Sinhalese alive and making shoes out of their skins? 5. From 1977 to 1983 TULF was steadfast in denying that there exists an organisation called LTTE. That was after LTTE had killed more than 50 Tamil ethnic gove agents and armed forces personal. I’m no historian, but I think that we treated the descendants of indentured labourers very badly. Even my Birth Certificate goes in to not just my parents names, but also my grandfather’s (if you challenge that, I’ll check: as it is, I’m sick of this talk.) And then it says that I’m a citizen by descent, not by registration. It is wrong to reduce some people to second class citizenship. Many of those deported had been born here, and perhaps their parents too. They were uneducated (totally), and just couldn’t understand what was being done to them. I know that many Sinhalese even now think of them as less than human beings. Please get your facts right: the making of shoes with human skin talk came from K.M.P. Rajaratne, M.P. for Welimada. I’m not so sure that Mrs Amirthalingam ever said it. I may be equally muddled with facts; but my vision is clear. We must stop talking like this. All Ceylon Congress>UNP + Ceylon Tamil congress + other parties>Federal Party + UNP + SLFP + Ceylon Tamil Congress+other parties. -We have this 48, 49,.58, 71, 77,83 so called markers referring to ………independence/riots/mutinies/revolutions/foreign governments state sponsored terrorism/regional wars/global wars affecting the ‘Nation Building’ Exercise based around few politicians/gun trotting youths/geo political needs we have allowed ourself to this diabolical level. All the countries in the world have hundreds of bad markers but they have overcome all the odds to get their life sorted but we continue to dwell on things for ever??why?? then to make matters worse we derive a solution that is never a solution in the long term anyway?? -Then we analyse something by ‘pick and choose’ as required to derive at certain conclusion repeatedly that is to say as an example Sinhalese have abused Tamils repeatedly is a good example that generalise and make a mockery of all the realities in the land where most of the people irrespective of their diversity loved and cared for each other. -The reality is we had bad apples through out the country and they have somewhat become our fate/destruction to our Nation Building discussions throughout our land. -Out of all the misery we had the one and only exercise the Majority of Sri Lankan are waiting is a dignified life so they can celebrate life like many other nations in our planet. -We should simply ban all the race/language/religious parties and start designing landscpe/economy/environment/security (compulsory military service) to the appropriate level. -The country needs just a very functioning parliamentary democracy with technocrats running the entire well defined ministries with a one election every 5 year or so and the municipality elections perhaps at district level. Even at municipality level we may consider skipping elections for a short term until we get ourselves organised to a minimun standards through out the land.